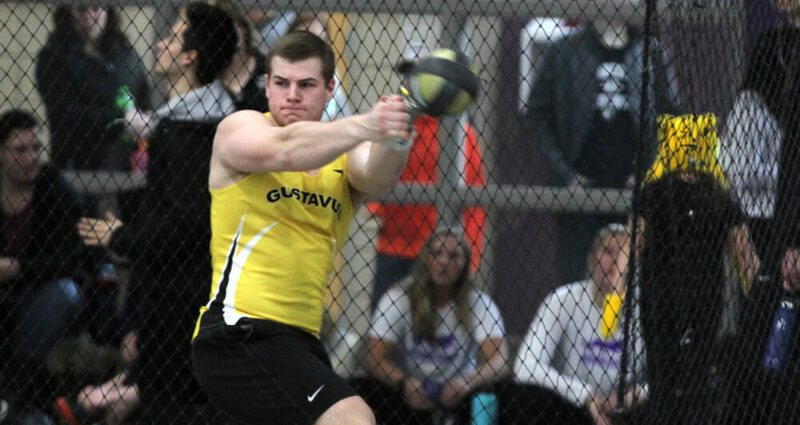 NORTHFIELD, Minn. – The Gustavus men’s track & field team competed at the St. Olaf Quadrangular on Friday and captured two individual event victories along with three more top-three performances. The Gusties won the 60-meter hurdles and the long jump. As a team, the Gusties took third place with 100 points. St. Thomas won the meet with 209 points and Bethel took second with 113 points.